Whether you are a student at the University of Bristol or you just need a stress-free way to run around this busy city, owning a scooter in Bristol is a great choice. So, if you are thinking of owning a scooter in Bristol today, look no further, Direct Bikes is here to help you out. Faster in Traffic: Scooters can wiggle through small gaps in traffic than other vehicles, which make them a great option if you want to get out of traffic fast. Parking: You can park your scooter in a small space in your yard or somewhere within your sight, thus keeping it safe. Also, you are exempt from parking charges. Hit the Road Earlier: Scooters allow you to legally ride on public roads at the age of 16, which is a year below the legal age for driving a car. Fuel Economy: Scooters have a low fuel consumption rate, which helps you save more on buying fuel. Price: Our scooters are very cheap, and most likely the cheapest you will find on the market. Finance Options: Our finance options are also customizable to suit your financial situation. Insurance: We won't only sell you our awesome scooters at the cheapest rates but will also help you compare the best scooter insurance deals. 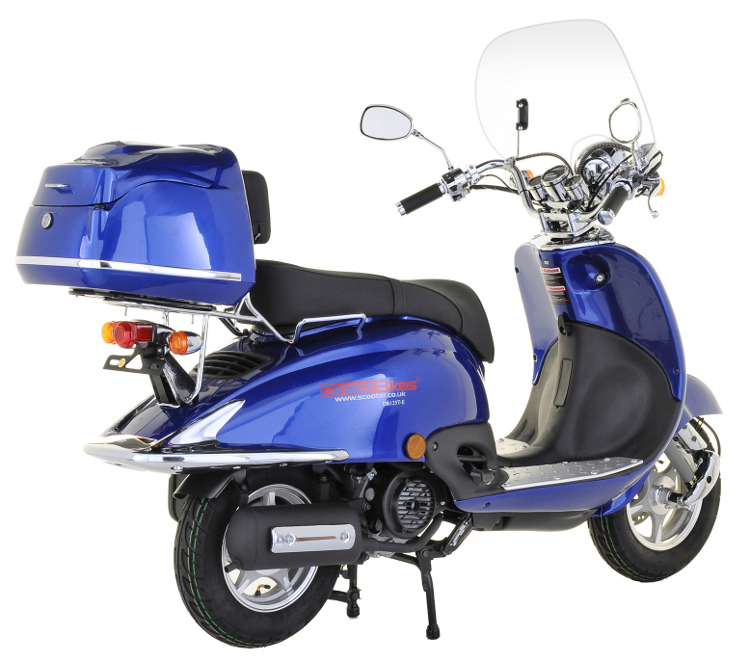 Design: All our scooters come in varying colours, sizes and styles and can be customised according to your preference. We don’t have a local distributor in Bristol but getting your scooter to you anywhere you are in the city is not a problem. All we need is your delivery information during payment, and we’ll get your scooter to you whenever you want it.